TB, 33″ (84 cm), Midseason bloom. Standards tangerine to carrot red (RHS 24C/29B); Falls slightly darker; fire red beard; ruffled. 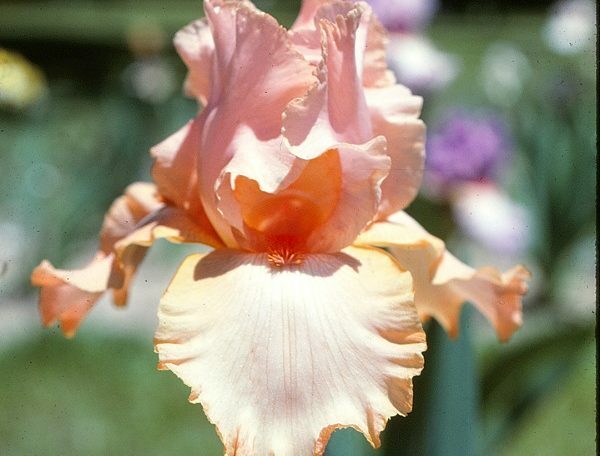 ‘Peach Float’ X ‘Instant Charm’. Brown’s Sunnyhill Gardens 1979.